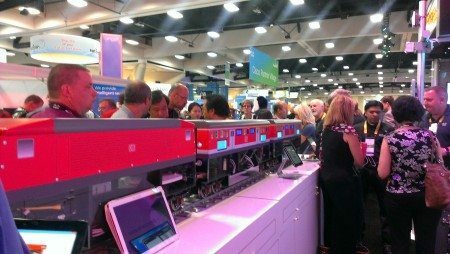 25,000 Cisco enterprise customer attendees had the opportunity to see and hear about Davra Networks’ newest Internet of Things (IoT) customer win at Cisco Live!. Davra has been chosen to rapidly, accurately, securely and cost effectively deploy an Internet of Things (IoT) solution for Metropolitan Transit System (MTS). What was the challenge facing MTS? 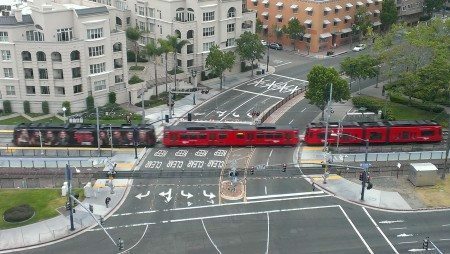 MTS provides the 3 million residents of San Diego, California with bus and light rail services generating approximately 97 million annual passenger trips or 300,000 trips each weekday. MTS strives to provide its riders with an on-time, high quality and safe service. But the provision of real time information was problematic for MTS. What did MTS want for its passengers? MTS wanted to track its light rail cars and provide accurate train arrival information on 212 digital signs that had already been installed at MTS train stations. After experimenting with another vendor using track-based sensors, an approach which proved ineffective for the level of accuracy required, MTS approached Davra Networks and Cisco to propose a more accurate, secure and cost-effective solution. MTS had made the decision to leverage the power of IoT to provide better insight into its systems for their ridership. What is the Davra solution? Davra’s solution provides MTS with real-time tracking of its light rail system using a combination of Cisco 819 gateways, Davra’s RuBAN platform and dedicated implementation services. The Cisco gateways provide MTS light rail trains with an enterprise-grade, secure hardware solution and RuBAN provides all the data insights and analytics to track train positions. Davra then provided a series of implementation services to connect MTS’ back-office operation technology (OT) systems via APIs in RuBAN. This allows data to flow seamlessly from RuBAN to the 212 digital signs at MTS train stations so passengers know when trains are scheduled to arrive. Davra continues to fine-tune the algorithms in RuBAN to predict train arrival time within 60-second accuracy. What is the value to MTS? MTS now has an enterprise-grade IoT solution that provides real-time insights to its passengers. And compared to its previous pilot program, MTS is implementing the Davra solution for 50 – 75 less cost. The future has a lot in store for MTS as it continues to digitize its physical infrastructure. Look for more from Davra Networks as it takes its unique approach of IoT enablement to more customers.